Why is cyber security so crucial to your business? Cyber security has become a dominant threat facing today’s organisations, requiring an investment of both time and money to protect against increasingly sophisticated and widely available attack vectors. Commenting on Cisco’s 2018 Cyber Security Report, John Stewart talks about the need to adopt a security strategy that embraces people, process, technology and policy, just like Nettitude does. Security audits should be part of a wider assurance program. Nettitude’s cyber experts and award-winning security consultants recommend adopting a continuous cyber assurance improvement program, including regular reviews of the organisation’s cyber security controls. Combined with routine penetration testing, vulnerability scanning, a comprehensive incident response plan, threat monitoring and security awareness training – ensuring you always stay one step ahead of the criminals looking to compromise your company. Don’t ignore your inside threats! Employee security awareness is essential! Through regular security awareness training and education, your employees become more aware and security savvy and less vulnerable to risks such as phishing campaigns. Nettitude has experienced security trainers and tailored programmes, to help you overcome what can be an organisation’s biggest weakness. What will a cyber security audit include? 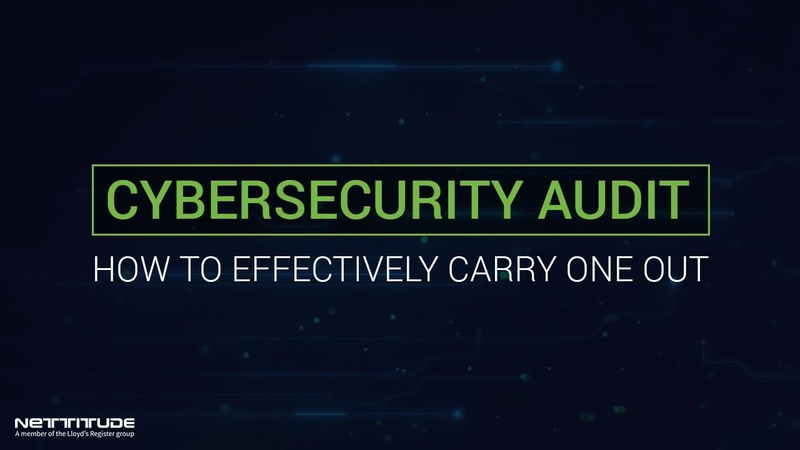 Reporting our findings is the final stage of the audit process, and this is where working with an experienced cyber specialist such as Nettitude is key. Nettitude prides itself on the most comprehensive and useful reports in the industry. Every care and attention to detail is taken to ensure that with each engagement the report is both thorough, yet actionable. Nettitude produces a high-level management report and an in-depth technical review document for each engagement. These documents will highlight security vulnerabilities and identify areas for exploitation. The reports also provide guidance on remediation, with a focus on preventative countermeasures. To gain access to anonymous management and technical reports related to your industry vertical, please email solutions@nettitude.com. Security audits can be complicated, however, at Nettitude we do not think that the reports, presentations, and debriefs also need to be. Nettitude ensures that all audits have a full debrief at the end of the engagement. Followed by a presentation of critical and high-level vulnerabilities along with guidance on remediation and countermeasures. Clients that engage with Nettitude for cyber security audits receive three months of complimentary access to its Security Support Centre (SOC). The SOC team can provide a level of assurance through the remediation phase of the audit, ensuring that you can get all your vulnerabilities fixed in a time sensitive manner. When should a cyber security audit take place? Are there any legal requirements or regulations that need to be adhered to for audits? It is also a good measure of assurance around internally deployed security controls. By conducting security audits your organisation is taking its responsibility to be cyber secure seriously, providing enhanced confidence with your key stakeholders (the board, employees, clients, investors) and new prospective customers. 15 years of experience - Through its 15 years of experience delivering security audits across the world, for the best-known brands and organisations, Nettitude has built up a reputation of trust and the highest standards. Global presence - Nettitude delivers high quality, intelligence-led security assurance and risk management services across the world with head offices in the UK and North America. Clients across every sector - Its clients include retail, financial service, telecommunication, media, insurance, logistics, e-commerce, manufacturing, and government organisations. Research & innovation focused - A cyber consultancy with a strong focus on innovation and thought leadership, and a dedicated research function, Nettitude also create custom tools and platforms to help organisations manage their cyber risks. Full circle cyber services - Nettitude has full circle services based around a define – defend – detect – respond – assure lifecycle. Nettitude has one of the strongest international red team capabilities in the industry, working closely alongside its security operations centres to deliver a managed security service to clients. Accreditations & pedigree- Nettitude is ISO9001, ISO27001, ISO14001 and Investors in People certified. Nettitude is accredited under the Penetration Testing, Cyber Security Incident Response, Simulated Targeted Attack & Response, CBEST and Cyber Essentials programs. Award-winning consultants recognised within their field. The consultancy most recently received awards at the 2018 annual Info Security PG's Global Excellence Awards for ‘Best Security Company’ and ‘Best Managed Service’. Acquired by Lloyd’s Register in 2018, Nettitude is proud to now be part of the Lloyd’s Register Group of companies.